…and stop at a store along the way to buy a multipack of chocolate bars, before rapidly consuming them upon getting home. I’d then continue to wonder why I was so damn fat. Evidently I wasn’t the smartest cookie. Then one day I heard about the keto diet, and it sounded great, but there was one big issue… how would I handle those cravings? Wouldn’t they undermine my efforts? Well… somewhat, but not entirely. I managed to survive them, and unlock all that punchy keto magic in the process. The human brain is incredibly efficient; it kinda has to be. Just think about everything it’s doing for you at the moment: it’s keeping all your systems going, monitoring your environment, mulling over various elements of your subconscious (and now even thinking about itself). With all that going on, it can’t be wasteful with resources, and doing something new requires a resource investment. That’s why it’s so much easier to act the same way we’ve acted before. Our behavioral systems get into neat grooves and follow familiar patterns. But you can change those patterns, and build new grooves. It doesn’t even take that long, really. If you follow a new routine for a week or so, it will turn into a habit, then suddenly stop feeling like a chore and start feeling like the default choice. So if you invariably end up grabbing a slice of cake after leaving work, it’s just because you’ve made that a habit. Try taking a brisk walk instead; you’ll probably hate it and want your cake back, but keep it up and you’ll feel differently after a week or so. Despite everything I said in the last section, I know perfectly well that it isn’t realistic to propose replacing food rewards with exercise as an overall solution. We have to eat, and anyone with any kind of sweet tooth is never going to have the willpower needed to shut out treats entirely. Fortunately, you don’t need to. There’s a whole industry built around serving the needs of health-conscious but gluttonous people like me, and it’s full of smart people making great products that somehow manage to taste great without losing all your tennis gains. If I somehow had the ability to travel back in time to those halcyon days, I could slip a Perfect Keto base shake into my porky self’s racquet bag to ensure that I got all the taste of confection without the post-binge dejection. I don’t have time-travel powers, alas, but I can engage in this kind of swapping right now, so I do. And it works. If you crave a candy bar, have a protein bar instead. Just do your nutritional research first; not all supplement manufacturers are trustworthy. OK, now this one may sound really obvious, but bear with me on it: sometimes you just need to get your blood pumping. Disrupt your routine. Do some jumping jacks. Flex like 1980s Hulk Hogan after a stadium show. Why? Because exercise feels good, especially when it’s intense. It shocks the system and causes the release of endorphins which make you feel good. The better you feel, and the more heavily your system is laced with happy chemicals (at natural levels! 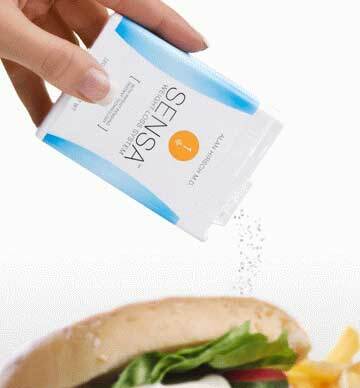 ), the more consistently you’ll be able to resist the allure of sugary products. Plus it burns calories, which makes it less damaging when you do fall off the wagon and eat a donut while slowly weeping. To quote Bryan Adams, don’t give up, you know it’s true; gotta do what you wanna do. Anyone who’s tried the keto diet knows it isn’t easy to reach the promised land. There will be setbacks, and disappointments, and there may come a point at which you ignore everything here and test your physiological tolerance for ice cream consumption. But never accept defeat. It’s very difficult to form new habits, but once you’ve done it, everything turns around. Things that previously seemed impossible suddenly feel within your reach. The cravings dwindle from immediate compulsions to subdued inclinations. In a very meaningful sense, you achieve a new level of power over yourself. I don’t know about you, but I reckon that’s something worth fighting for. Good luck!